Your donation can make a big difference! You do not need to have a PayPal account to donate. 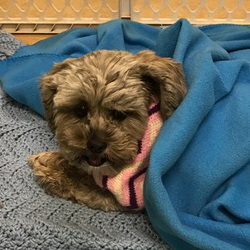 Choose your gift and how it will be spent to support our animals in need! You can choose any amount you want to donate either as a one-time donation or as a recurring donation each month. Recurring donations can be edited or stopped at any time. Interested in volunteering, fostering or adopting an animal in need? That’s great! 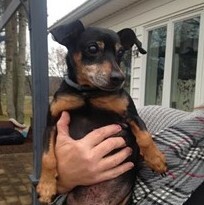 We appreciate your interest and support to help find loving homes for these special spirits. Click here to apply. Check out social media pages on Facebook, Twitter and Instagram for constant updates! AmazonSmile is a simple and automatic way for you to support HeartsHerd every time you shop, at no cost to you. When you shop at smile.amazon.com, you’ll find the exact same low prices, vast selection and convenient shopping experience as Amazon.com, with the added bonus that Amazon will donate a portion of the purchase price to HeartsHerd. Simply choose HeartsHerd as your organization of choice. >> Click to read more about AmazonSmile. 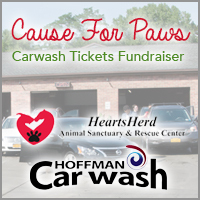 HeartsHerd has teamed up with Hoffman Helping Hands, by Hoffman Car Wash. When you purchase a car wash e-ticket online, a percentage of the sales will go directly to helping our animals in need. These tickets make for a great gift all year round! >> Purchase your e-ticket now! Every Walk for a Dog counts, whether it’s a walk around the block or a three-mile hike. Magnify your impact by sharing the app with your friends and family. Consider making a personal gift to the shelter or rescue you are walking for—right through the app. To help the founding members of our herd, click here to visit our permanent residents.